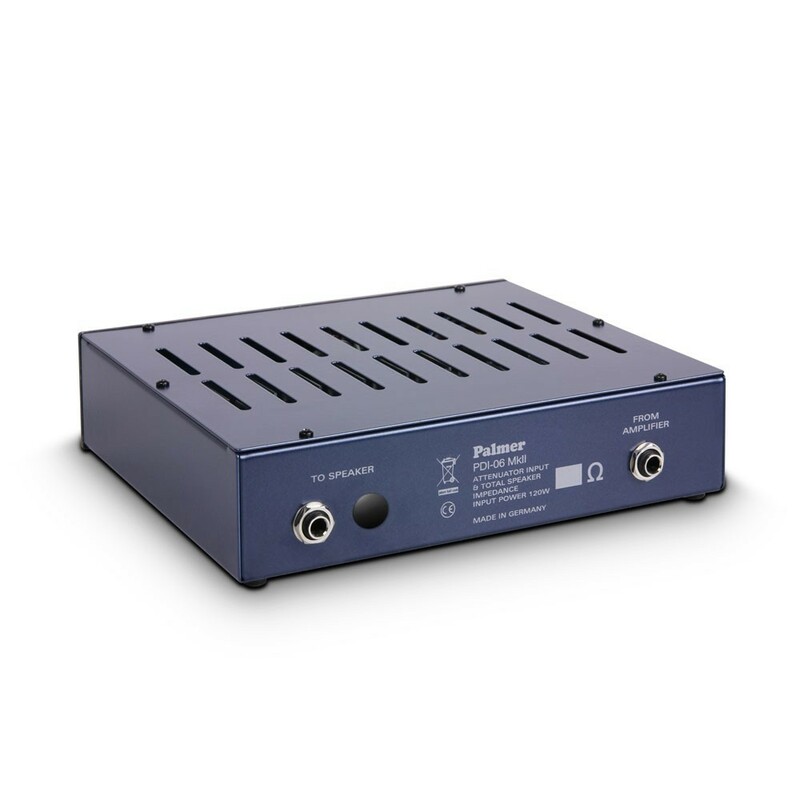 The PDI06 is a power attenuator for live applications. The device is connected between the amplifier output and the speaker cabinet. It makes it possible to use the popular power stage distortion of tube amplifiers while reducing the associated high volume level. This permits practical volume reduction in five increments from 100% to 18% for stage and practice room situations. 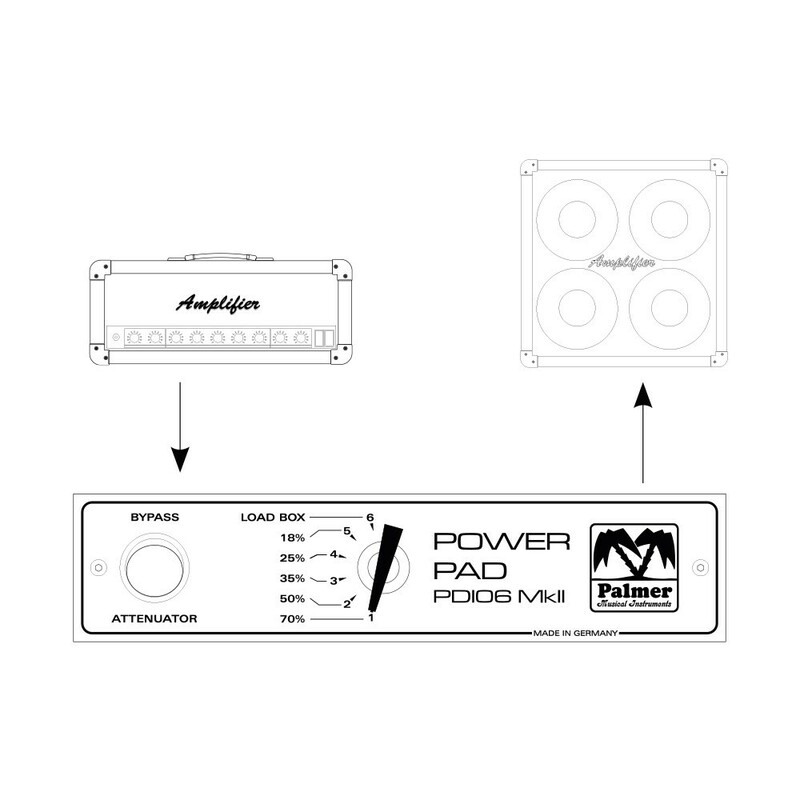 An additional level makes the speaker completely mute; the PDI06 then functions as a LOAD BOX and absorbs the entire output power of the amplifier. This mode of operation is useful, for example, when connecting an amplifier equipped with a speaker cabinet emulation directly to the mixing desk using an existing line-out and loud volume levels in the recording booth are undesirable. The unit has an input for the speaker signal from the amplifier and two outputs for connecting speaker cabinets. The total impedance of the speakers must equal the value shown on the PDI06. Example: the outputs of a PDI06, that is specified for 8 ohms, can be connected to one 8 ohm cabinet or two 16 ohm cabinets (the 16 ohm version has only one output). The output of the (tube) amplifier is also set to 8 ohms.